Rated ‘R’ for some sexuality, violence and language. Stars Paul Rudd, Mark Strong, Sienna Miller, Jeff Daniels, Guy Pearce, Paul Giamatti, Tom Wilkinson, Connie Nielsen, Shea Whigham. 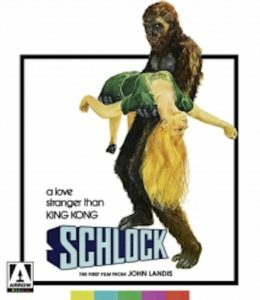 The Catcher Was a Spy is one of those strange-but-true tales that really drives up the curiosity factor based on its somewhat bizarre premise alone. 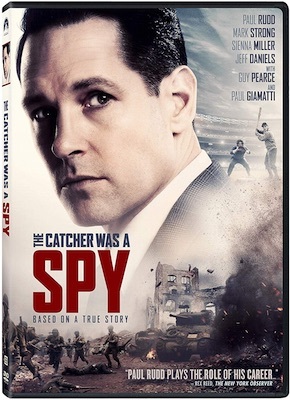 The film is based on a book of the same name that relates the true story of a former Major League Baseball catcher who was tasked with assassinating the head of Germany’s atomic bomb program during World War II. The actual circumstances make a lot more sense when played out in context of course, even if the man at the center of it, the Jewish baseball player-turned-spy Moe Berg, would seem to defy most attempts to classify his character. Berg, played here by the always affable Paul Rudd, was an avid reader who spoke several languages, demonstrated his smarts on radio quiz shows and was labeled an oddball for his eccentricities by coaches and teammates during an otherwise underwhelming 15-year baseball career. After being invited to join an all-star team of Major Leaguers touring Japan in 1934, Berg learned from a Japanese friend that a war between the U.S. and Japan was likely inevitable, so he snuck onto the roof of a Tokyo hospital to film footage of the city’s harbor. After the bombing of Pearl Harbor in 1941, Berg gave the footage to U.S. intelligence services and ended up joining the OSS (precursor to the CIA). Anyway, the OSS eventually assigns Berg to a team looking into the activities of famed German physicist Werner Heisenberg (namesake for Walter White’s alias on “Breaking Bad”), trying to gauge his involvement in helping Germany develop an atomic bomb and assess what progress, if any, he has made on the project. The key moment comes when Berg is sent to stalk Heisenberg (played by Mark Strong) during a lecture in neutral Switzerland and shoot him on the spot if the scientist offers any hint that he is working on an atomic weapon. Part baseball movie, part spy thriller, The Cather Was a Spy is an intriguing wartime procedural carried primarily by its old-fashioned sensibilities and the likability of its main cast. The screenplay is by Robert Rodat, who is no stranger to WWII movies having penned Saving Private Ryan. 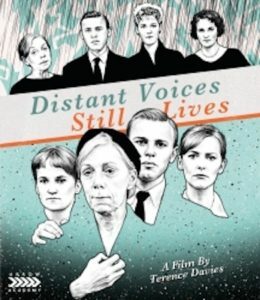 The DVD includes seven deleted scenes that run a total of about nine minutes. Many shed a bit more light on Berg’s character and motivations, and had some of them been kept they might have helped the character study bona fides of a film that runs a svelte hour-and-a-half as it is. It takes two — 4K Ultra HD resolution and high dynamic range (HDR) — to create what critics are calling the best home entertainment viewing format yet. The increased resolution of 4K has found the perfect match in HDR, which offers brighter brights and darker darks and wider color gamut to create a more vivid and lifelike picture. It’s the closest the home sector has come to matching the theatrical experience, experts say. “Combined with technological advancements in film mastering and high dynamic range color, 4K is now the de-facto media format you didn’t know you couldn’t live without until you experience it fully,” says Miguel Casillas, SVP of production, home entertainment and digital distribution, at Lionsgate. “4K HDR has solidified itself, both with consumers and within the creative community, as the best way to watch content at home,” says Jessica Schell, EVP and GM at Warner Bros. Home Entertainment. Consumers agree that 4K UHD with HDR is a format they can embrace — when the two are combined. “The resolution doesn’t do it for me but the HDR, the expanded colors, does,” says Adam Gregorich, co-owner/editor at Home Theater Forum, a home entertainment enthusiast site. Home entertainment executives are also seeing promising growth in the market boosted by this consumer enthusiasm. “We’re very enthusiastic about the continued growth of 4K Ultra HD and the unparalleled cinematic experience it brings into the home,” says Lexine Wong, senior EVP of worldwide marketing at Sony Pictures Home Entertainment. 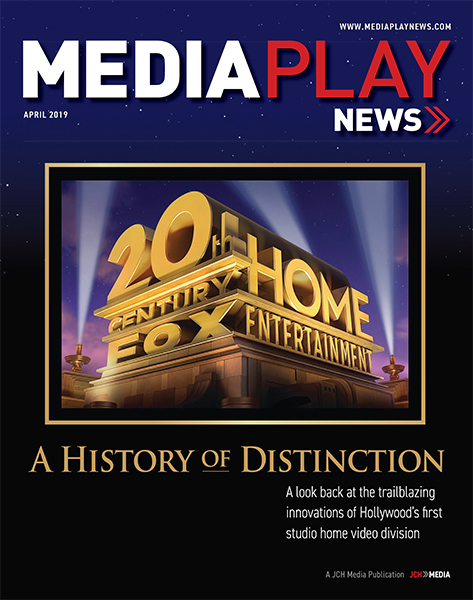 “The growing number of digital providers and streaming devices supporting 4K coupled with robust sales of 4K UHD discs indicates that demand continues to grow for the exceptional home viewing experience that only 4K offers,” says Vincent Marcais, EVP of worldwide marketing at Paramount Home Media Distribution. Consumer uptake of 4K UHD TVs is helping to expand the market for content. In its mid-year report, DEG: The Digital Entertainment Group noted that more than 8 million 4K Ultra HD TVs were sold in the first half of 2018, bringing the total number of U.S. households to 38 million. Growth of 4K Ultra HD content is expanding rapidly, according to the DEG, with 344 4K Ultra HD titles available on disc, representing more than $100 million in consumer spending for the first half of the year. There were also 473 4K titles available digitally through the first half. In the same time frame, approximately 1.7 million Ultra HD Blu-ray playback devices were sold (including game consoles). The Consumer Technology Association expects 1.2 million 4K UHD Blu-ray Disc players to ship domestically in 2018 (39% growth over 2017), which will make up 22% of all Blu-ray player shipments. UHD Blu-ray player revenue will reach $180 million (17% growth over 2017), according to the CTA. “We are very encouraged by the format’s demonstrated year-over-year growth,” says Universal’s Cunningham. “UHD disc sales have doubled from the first half 2017 to first half of 2018 to $100 million in consumer spend and are now capturing a larger share of sales during a tentpole title’s first week of release, accounting for nearly 10% of all new-release sales. The new line of 4K TVs, which increasingly feature HDR, are a driving force. “Your bang for the buck goes further now than it ever did,” adds Home Theater Forum’s Gregorich. Worldwide, Futuresource data shows 4K Ultra HD TV shipments increased by nearly 40% in 2017 and are expected to increase another 33% in 2018. Also, according to Futuresource data, standalone Ultra HD Blu-ray player sales (minus Xbox) are on pace to surpass 2017 by 44%. Meanwhile, 15% of all Ultra HD Blu-ray players shipped worldwide in 2018 are expected to be 4K UHD, with that percentage anticipated to be almost 25% in 2019. The UHD Blu-ray player installed base worldwide is expected to reach 4.5 million by the end of 2018. Worldwide there are 29 4K UHD BD player models available and 11 4K UHD recorders/players available, according to Futuresource data. Ultra HD Blu-rays are expected to account for 7% of Blu-rays sold worldwide in 2018, rising to 28% by 2022, according to Futuresource. IHS Markit anticipates the number of 4K households worldwide will be 188 million by the end of 2018, more than double that of 2016, with the number of households with a 4K TV predicted to grow from 121 million in 2017 to 501 million by 2022, according to the UHD Alliance. 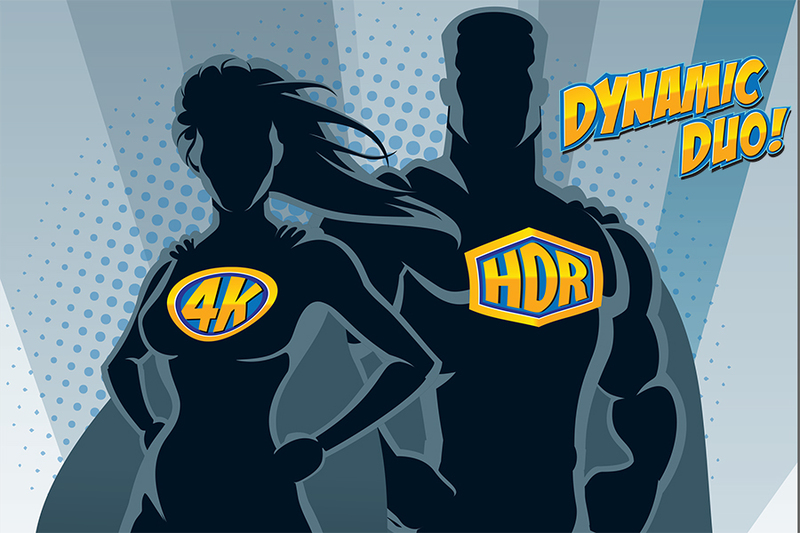 In addition to fostering 4K UHD TVs, Blu-ray players, Blu-rays and other hardware, the UHD Alliance is looking to promote 4K UHD broadcasting. Indeed, content, while perhaps not coming as quickly as the most avid 4K enthusiasts would like, is growing to serve the market, especially for the all-important gift-giving season. In fact, home entertainment enthusiasts are buying 4K UHD titles even before they’ve got the equipment to play them. “I know a lot of guys who don’t even have 4K yet, but will buy the 4K version,” adds Hunt. “We’re seeing 4K HDR content availability continue to broaden, with not only the latest theatrical new releases, but remastered classics like The Matrix and 2001: A Space Odyssey, as well as TV franchises like ‘Westworld’ and ‘Game of Thrones’ and direct-to-video releases including our DC Universe animated movies, all available or coming soon in 4K HDR,” notes Warner’s Schell. 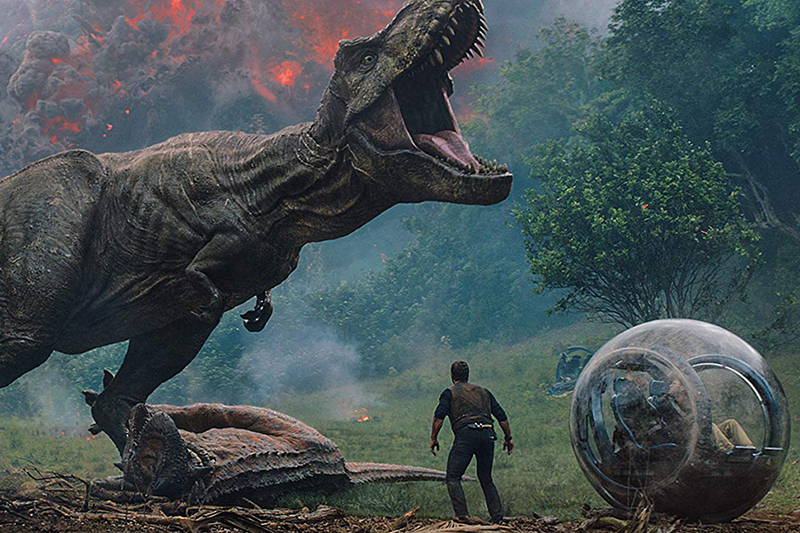 Going into the fourth quarter, the industry is rolling out some of its biggest films of the year on 4K UHD, says Universal’s Cunningham, citing Universal’s Jurassic World: Fallen Kingdom and Mamma Mia! Here We Go Again. “For the industry, it’s important to expand our 4K content footprint alongside our consumer electronics and retail partners within this space; and for the consumer, we are excited to bring favorites such as Hotel Transylvania 3, Sicario: Day of the Soldado and Air Force One to market so that consumers can enjoy them in the highest possible quality,” says Sony’s Wong. Home theater enthusiasts are taking notice of the plethora of releases in 4K UHD. Gregorich is looking forward to the fourth-quarter sales. Industry pundits agree that the physical disc is still the best way to watch 4K UHD with HDR. Hunt is a disc aficionado. Redbox, known for its national fleet of disc-rental kiosks as well as its Redbox On Demand digital store, last May began renting 4K Ultra HD rentals in six test markets. Ultra HD Blu-ray Discs rent for $2.50 per night, 50 cents higher than the rental rate for regular Blu-ray Discs (DVDs are $1.75). The test rolled out across more than 2,500 kiosks in Los Angeles, Seattle, Austin, Detroit, Miami and New York City. But like all content, 4K Ultra HD is fast migrating from disc to digital. Nielsen recently reported that domestic DVD/Blu-ray household penetration has fallen to 67% in the first quarter of 2018 from 73% at the end of 2017, indicating consumers’ shift to other forms of delivery. Home theater enthusiasts are preparing for the future as well, happy that studios are offering 4K digital copies in the physical combo packs. “The fact that almost all the studios are giving you a 4K digital copy now instead of the 2K digital copy is sweetening that pot a little bit, just to know that I’ve got a more future-ready digital version,” the Home Theater Forum’s Gregorich says. 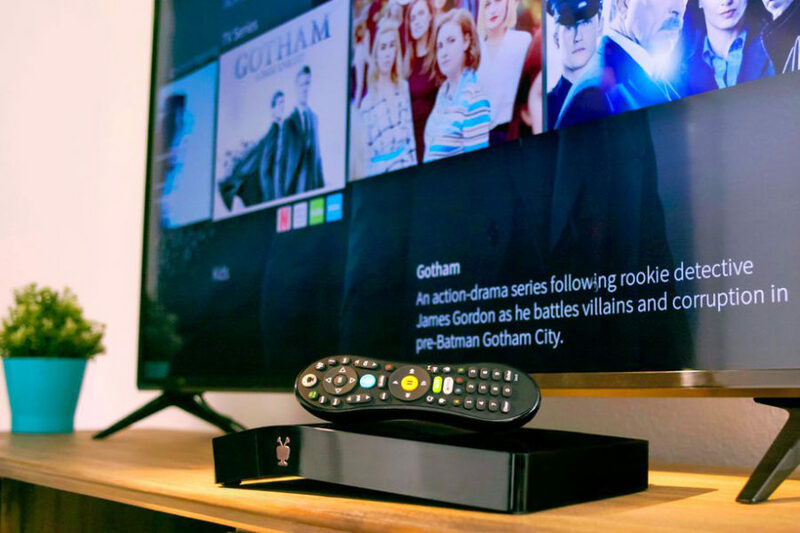 Digital retailers are catering to the 4K consumer as well. Streaming goliaths such as Netflix, too, are moving into 4K. Netflix reports subs require a minimum speed of 25Mbps to stream 4K content, and it is tinkering with higher pricing for 4K streamers in Europe, perhaps indicating the value of picture quality in the streaming realm. No matter how the content is delivered, education is the key to expanding the format, observers say. “Driving further awareness about the format and educating both physical and digital consumers on 4K UHD’s high-value, high-quality proposition will be critical to successfully driving broad adoption,” Universal’s Cunningham says. Dynamic metadata, as opposed to static, is considered by many to be the height of HDR, allowing colors and brightness to adjust scene by scene. Dolby Vision, which requires a licensing fee, and HDR10+, which does not, are two of the formats promoting this greater HDR capability. HDR10+ is backed by 20th Century Fox, Panasonic and Samsung with support from Amazon. Dolby via Dolby Vision, which also offers dynamic metadata, and the sound enhancement, Dolby Atmos, is also vying to improve the home entertainment experience. Dolby reports that more than 360 movies are available in Dolby Vision, with more than 400 hours of original content available from Netflix. Also, content partners supporting Dolby Vision include A24, Amazon Studios, BBC, Disney, HBO, iQIYI, Lionsgate, Magnolia Pictures, MGM, Netflix, Paramount, Sony Pictures, Universal Pictures and Warner Bros., among others. Content service providers supporting Dolby Vision include iTunes, iQIYI, Netflix, NTT Plala, Rakuten TV, Vudu and Tencent. Also, Dolby Vision is available on 4K UHD Blu-ray with 80-plus titles in the market. On the hardware side, 12 TV brands have Dolby Vision TVs in the market at prices as low as $350, according to Dolby. Apple announced support for Dolby Vision across iPhone, iPad and Apple TV 4K; Lenovo announced the first PCs supporting Dolby Vision; and Microsoft announced Dolby Vision support on Xbox One S and Xbox One X, according to Dolby. Dolby Atmos is featured on more than 400 movie titles available in the home from all major studios and a wide range of independents, according to Dolby. As for the home entertainment enthusiasts, they are captive to what the studios and hardware manufacturers support. But they are not too concerned about it. Hunt, at The Digital Bits, is more sanguine. 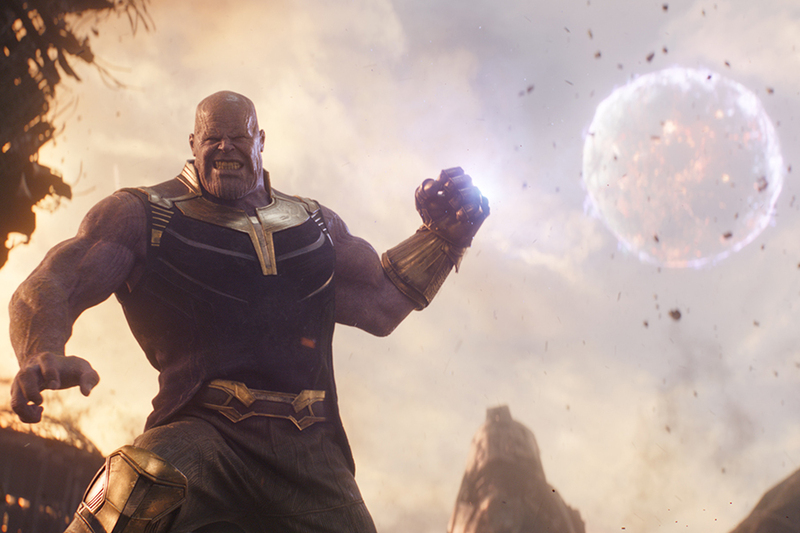 Marvel’s Avengers: Infinity War, from Walt Disney Studios Home Entertainment, was the top seller in August 2018 of combined Blu-ray Disc and DVD units sold according to the NPD Group’s VideoScan tracking service. The superhero team-up epic, which is just the fourth film to ever earn more than $2 billion at the worldwide box office, landed ahead of 20th Century Fox Home Entertainment’s Deadpool 2 for the month. Deadpool 2 topped the weekly sales charts for three weeks following its Aug. 21 disc debut, but half of that run carried over into September. Infinity War was released a week earlier on Aug. 14, debuting at No. 1 on the weekly charts before settling in as a close No. 2 during Deadpool 2’s run, giving it the edge in August sales. Warner Bros. Home Entertainment’s Ready Player One was No. 3 for the August, down from No. 2 in July. Another Warner title, Life of the Party, debuted at No. 4, having been released in the first week of the August. Paramount’s Book Club, released Aug. 28, was the No. 5 disc seller for the month. Warner’s direct-to-video animated superhero actioner The Death of Superman was the month’s No. 6 seller. It debuted at No. 1 on the weekly charts the week following its Aug. 7 release. The top seller for July, Warner’s Rampage, slipped to No. 7, while Universal Pictures’ Breaking In debuted at No. 8. Stalwarts Black Panther, from Disney, and The Greatest Showman, from Fox, rounded out the top 10. The arrival of Infinity War helped Disney take over the top five spots on the year-to-date top 10 chart. The top four remained unchanged from the previous month, with Star Wars: The Last Jedi remaining No. 1 on the list of the year’s top sellers, followed by Black Panther, Coco and Thor: Ragnarok, with Inifinity War moving into the No. 5 spot. Deadpool 2 entered the chart as the year’s No. 10 seller so far. 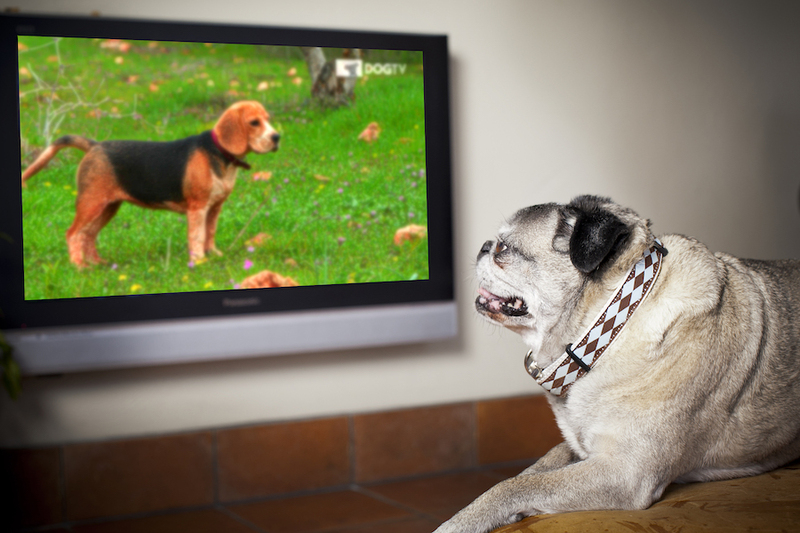 Sling TV has launched two a la carte channels — Comedy Dynamics and DOGTV — that can be purchased with or without a base subscription at $5 each per month. Comedy Dynamics and DOGTV join Sling’s library of individual channel offerings, which includes Showtime, CuriosityStream, Grokker, Stingray Karaoke, Docurama and NBA League Pass. Lost in the all-day Congressional spectacle involving U.S. Supreme Court nominee Brett Kavanaugh was the first NFL regular season TV broadcast ever exclusively called by women. 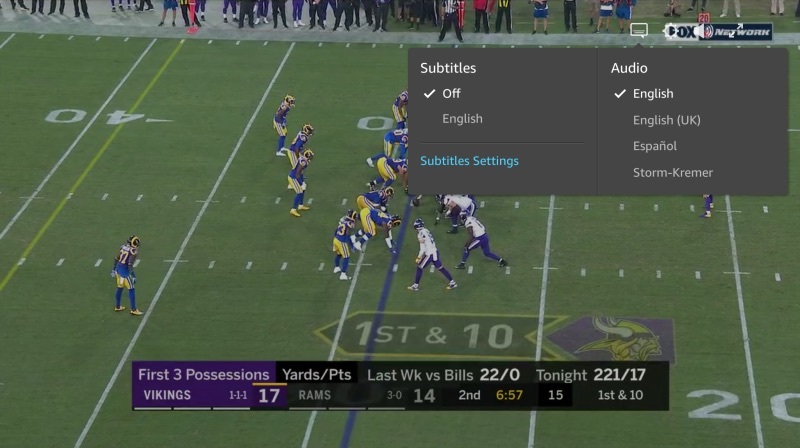 Veteran sports reporters Andrea Kremer and Hannah Storm called the Sept. 27 “Thursday Night Football” featuring the Los Angeles Rams’ 38-31 win over the Minnesota Vikings on Amazon Prime Video – the first of 11 games the e-commerce behemoth will stream (and Kremer & Storm will call) this season. To the casual viewer – on Prime Video – watching the women make history was as challenging as listening to the pair try and keep up with the live game video. With Fox Sports having exclusive TV broadcast rights to “Thursday Night Football,” Prime viewers were by default linked to the broadcast called by veterans commentators Joe Buck and Troy Aikman. It took a Tweet on social media by Storm to inform anyone who cared that to access her (and Kremer’s) webcast required going into the “audio & language” setting and clicking on the “Kremer & Storm” link. Other options include Spanish and English U.K. Doing so displayed the live video feed with Kremer & Storm calling plays and offering analysis, respectively. The duo appeared at times caught off guard by the tempo of the game – issues that would undoubtedly affect anyone calling live sports in Los Angeles from a studio in Connecticut. Kremer did her best injecting anecdotes from conversations she had earlier in the week with team general managers and related personnel. Storm never missed a play or player’s number. Actually, hearing what the pair said was tough, however. A situation only partly remedied by increasing the volume. In addition, never once were the pair ever shown on camera. In fact, after one commercial break, the webcast defaulted back to Buck and Aikman – requiring the viewer to exit the webcast and go back into settings. Kremer and Storm offer a fresh approach to NFL broadcasts. Too bad Amazon appears indifferent to their actual presence. Universal Pictures’ Jurassic World: Fallen Kingdom easily debuted at No. 1 on the NPD VideoScan First Alert chart, which tracks combined DVD and Blu-ray Disc unit sales, and the dedicated Blu-ray Disc sales chart the week ended Sept. 22. The fifth film in the “Jurassic Park” franchise and the sequel to 2015’s Jurassic World earned $416.6 million at the domestic box office. Moving up to No. 2 was Walt Disney Studios’ Hocus Pocus, buoyed by the upcoming Halloween season and a recent 25th anniversary Blu-ray. Hocus Pocus was No. 4 on the Blu-ray chart. No. 3 on the overall chart and No. 5 on the Blu-ray chart was Warner’s Ocean’s 8, which debuted in the top spot on both charts a week earlier. Disney’s Avengers: Infinity War slid to No. 4 overall but climbed back to No. 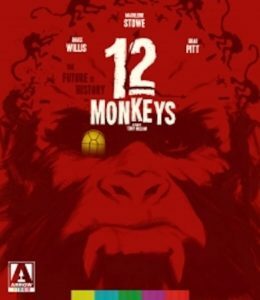 2 on the Blu-ray chart. Deadpool 2, from 20th Century Fox Home Entertainment, dropped to No. 5 on the overall chart and No. 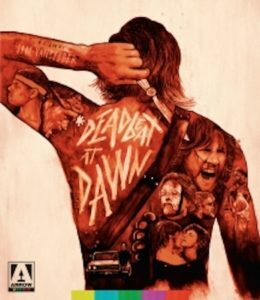 3 on the Blu-ray chart. Blu-ray Disc accounted for 65% of total Jurassic Park: Fallen Kingdom unit sales; 4K Ultra HD Blu-ray made up 12% of the film’s tally. Fallen Kingdom also debuted at No. 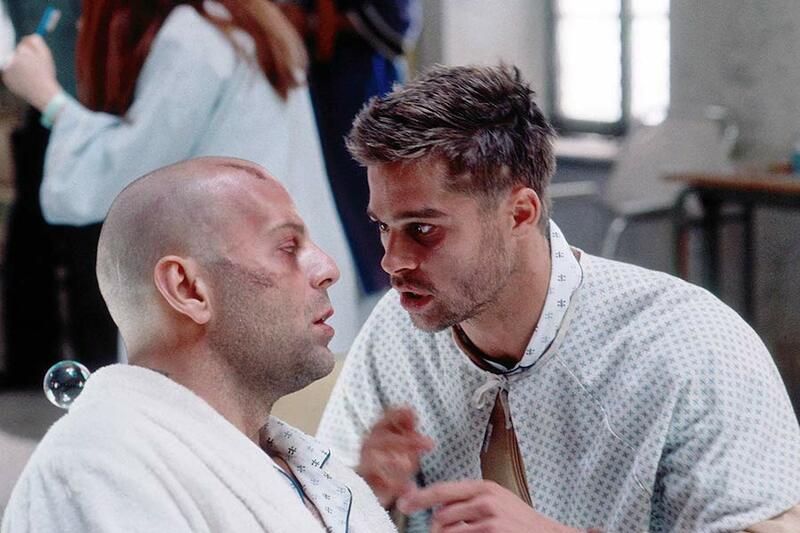 1 on the Media Play News rental chart the week ended Sept. 23. Ocean’s 8, Tag (also from Warner) and Deadpool 2 each slipped a notch to No. 2, No. 3 and No. 4, respectively. Lionsgate’s Sibera, a thriller with Keanu Reeves, debuted as the No. 5 rental. Levi’s Stadium, the Santa Clara, Calif.-based home to the San Francisco 49ers, Sept. 27 announced a multiyear partnership with Redbox to have the kiosk vendor serve as the title sponsor of the annual Bay Area college football bowl game. The Redbox Bowl will feature teams from the Pac-12 and Big Ten conferences, with the 17th installment of the game kicking off at noon PT on Dec. 31st. The game will be televised live nationally on Fox Sports, with a Spanish-language simulcast on Fox Deportes. Redbox Bowl tickets go on sale Oct. 1st at www.RedboxBowl.com. Since its inception in 2002, the bowl has been an annual fixture on the Bay Area’s college football landscape. Prior to being named the Redbox Bowl, it was known as the Foster Farms Bowl (2014-2017). The game will continue to match teams from the Big Ten and the Pac 12 (outside of the College Football Playoff group). As in previous years, a day of community service by the players and coaches of the participating teams will be a featured component of their visit to the Bay Area. Historically the teams will serve meals to those in need at GLIDE and St. Anthony’s in San Francisco. 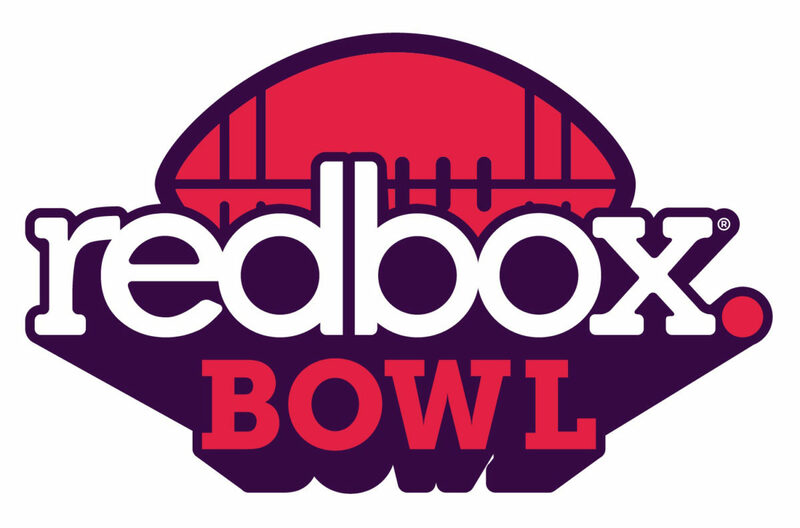 “We are in the midst of an incredibly exciting year for college football in the Bay Area and the addition of an innovative brand like Redbox as the game’s new title partner greatly adds to that excitement,” said Ryan Oppelt, executive director of the Redbox Bowl. Three music titles from Screenbound International Pictures are being released for U.S. distribution through MVD Entertainment Group. 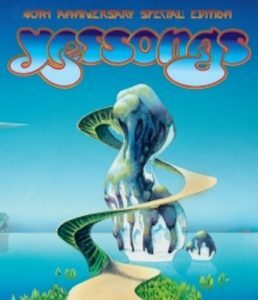 Yes — Yessongs, coming Oct. 19 on Blu-ray ($19.95), features the group that has been at the forefront of progressive rock and became a major force in popular music, selling more than 30 million albums and reaching platinum status multiple times worldwide. During the late 1960s, Yes were renowned for their live performances culminating in their album and film of the same name, “Yessongs.” Filmed in 1972 at London’s Rainbow theatre, the feature was released theatrically in the United Kingdom the following year with a quadrophonic sound track. 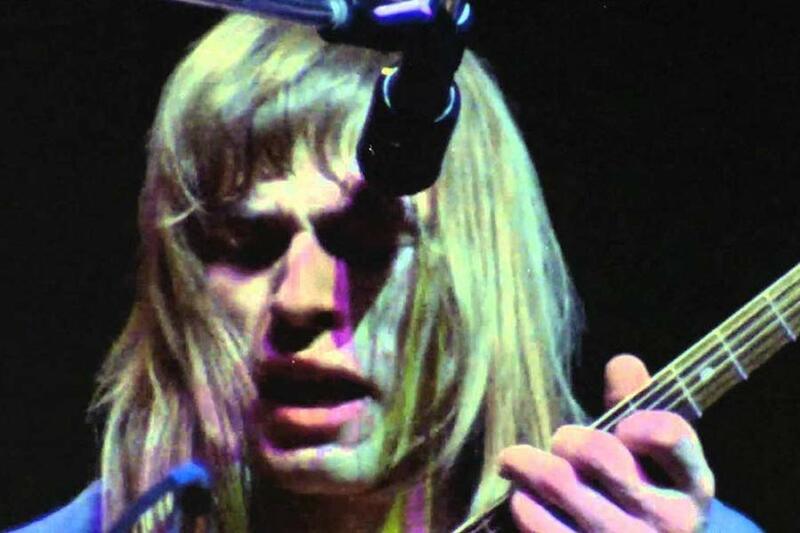 The film features their new line-up of the time, Jon Anderson, Chris Squire, Steve Howe, Rick Wakeman and Alan White. 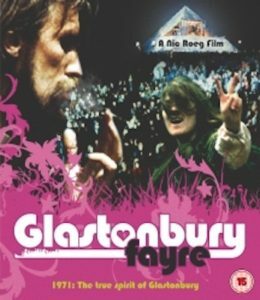 Due Nov. 9 on DVD and Blu-ray ($19.95 each) is Glastonbury Fayre: 1971 the True Spirit of Glastonbury. Shot by acclaimed director Nic Roeg, the film features the first Glastonbury festival to have the pyramid stage. 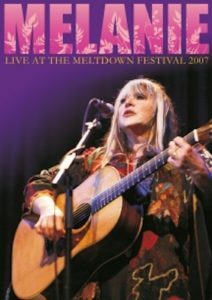 It was free to all and with a line-up that included Melanie, Terry Reid, Family, Fairport Convention, Traffic, Linda Lewis and Arthur Brown. Based in the United Kingdom, Screenbound emerged from various U.K. distribution, production and DVD companies founded in 2003 by Alan Byron. In 2015, the companies were all brought under the Screenbound brand, and the international sales and distribution arm — Screenbound International Pictures — was launched to represent a classic film library of more than 500 titles. “We are honored to be working with Alan and Screenbound, and so pleased to be launching with some absolute classics in the music video genre,” said Ed Seaman, COO of MVD Entertainment Group, in a statement.